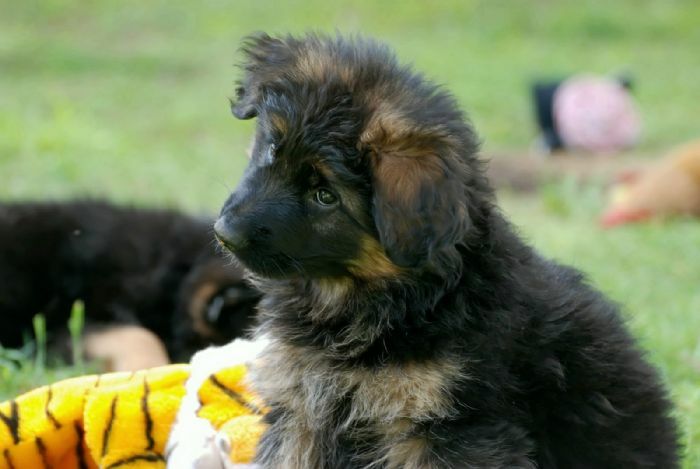 is a german shepherd the right dog for you? Have you thought about why you want a dog & why a German Shepherd in particular? A German Shepherd is not a dog to be bought & left in the backyard to protect your home.It is not a wind-up toy. It is not a burglar alarm to be left in the "on" position. It is a highly intelligent, sensitive animal with social needs - the need to belong to a family or "pack", and to know who the pack leader is, (namely you) and to have confidence in you. The German Shepherd is also a dog with a complex temperament. While it has a fierce “guard dog” image, it can also be very sensitive, emotional and affectionate. Temperament can vary a lot from dog to dog. For example: how confident and outgoing the dog is, or how sensitive and timid, how human-oriented or how independent, how dominant or accepting of human authority, how aggressive or how friendly, how excitable or how calm. These characteristics can also vary a lot within the individual dog as it matures and develops. But equally importantly, they are affected by how you bring up your puppy, and what kind of environment you provide. Think about your type of family or household - anyone can have a dog, but there are particular problems that can crop up with single people, young adults, families with kids, older people and so on. A German Shepherd is a wonderful dog to train, but it is not the easiest dog to handle, especially if you are lacking in confidence. Consider the dog’s size and temperament, and think honestly about your physical capabilities and your strength of character.